Reliance Industries Ltd’s (RIL) bid to buy bankrupt petrochemicals firm LyondellBasell AF is unlikely to result in a deal in 2009 as the chemical firm evaluates its options, analysts and bankers say. Last week, the company filed an amended reorganization plan with a US court, proposing a $2.8 billion (Rs13,104 crore) rights issue, to simplify its corporate structure and exit bankruptcy protection with significantly less debt. In the amended plan, LyondellBasell said it continues to evaluate RIL’s proposal, which sources say may be worth as much as $12 billion. If debtors choose to pursue a deal with RIL, payment of any break-up fee to the rights offering sponsors will not be required, LyondellBasell said. “It is unlikely that anything will happen this year," a banking source familiar with the deal said. A court hearing on the amended reorganization plan will not be held until after a February court hearing on the validity of a settlement with a US unit’s creditors. “Lyondell will be evaluating both plans concurrently and the understanding that we have is that clarity will not emerge for at least the next month or two," said Deepak Pareek, an oil and gas analyst at Angel Broking. “It will take a while for clarity to emerge on all fronts—price, value, synergies for Reliance and the reorganisation plan," he said. There are also concerns that senior creditors, including Apollo Management LP, which are controlling the bankruptcy, could incur a hefty loss at the price RIL has proposed and may gain more from an independent Lyondell. LyondellBasell has $25.7 billion in consolidated debt and plans to cancel $18.7 billion under the reorganisation plan. It will emerge from Chapter 11 protection next year. Chapter 11 of the US Bankruptcy Code permits reorganization of a company under bankruptcy laws. “The earliest any development could occur is mid-to-late January," the banking source, who did not wish to be named, said. Reliance Industries declined to comment. 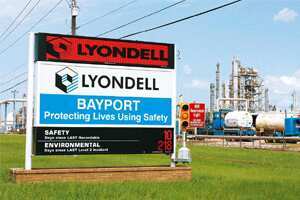 LyondellBasell could not be immediately reached.